Benchmarking is a widely used process whereby people first identify the best firms in the same industry, or in another industry where similar processes exist. They then compare the processes and performance metrics of others to their own business process. In a clear, step-by-step manner, this business management course will introduce you to the process of benchmarking and the benefits that you can gain from its implementation. First, you will look into benchmarking where you will learn how to use this highly structured strategy to improve your organization's innovation and design. The course will teach you the benchmarking process as well as how and where to source your information. You will study the ten generic benchmark categories as well as the best practices in benchmarking. You will learn the difference between process benchmarking and strategic benchmarking as well as the most widely acknowledged benchmarking benefits. You will then study the Benchmarking Code of Conduct such as keeping everything legal, respecting confidentiality, and being willing to give what you get, among others. You will also receive lessons taught by active benchmarkers, as well as study performance measure examples and the critical success factors of benchmarking. The course will also show you Motorola's Five-Step Benchmarking Process as well as present you with management’s benchmarking challenge. By studying the best performances being achieved by your competitors or by an entirely different industry, you can use benchmarking to effectively boost your organization. All you have to do is use the information to identify the gaps in your organization's processes so that you can achieve a competitive advantage. 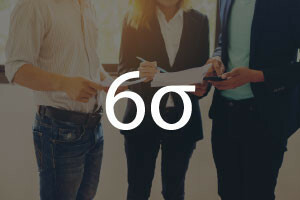 This Six Sigma business course contains all the information you need to achieve this goal and more! So why wait? Check out your next course, today. Define benchmarking and list its benefits. Describe the key elements of the Benchmarking Code of Conduct. List the steps of widely used benchmarking procedures.